The OnRISC Alekto 2 is a RISC industrial embedded computer based on ARM Cortex-A8 with NEON SIMD Coprocessor. 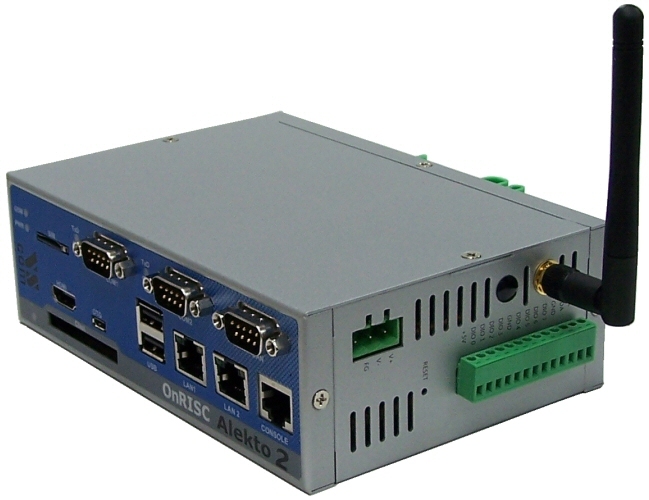 The great variety of interfaces like LAN, CFast, USB, I²C, serial interface, digital I/O plus more options makes it easy to connect various industrial devices to the OnRISC. 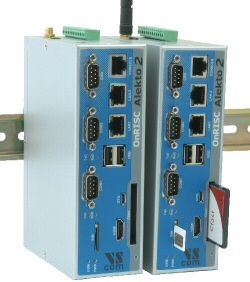 Compact dimensions and DIN Rail mounting capability make the OnRISC to a space saving and flexible mounting industrial computer. It is feasible to be installed even in space limited environments. The internal microSD slot protects the system software against accidentally removal. The miniPCIe slot provides opportunities for wireless communication. For example WLAN cards are available, and the connected SIM slot allows to use GSM/3.5G modems. Due to RISC based architecture the OnRISC has very small power consumption, so fanless heat dissipation is possible. Working in a wide temperature range from -10°C up to 50/75°C the OnRISC can be applied in under harsh industrial conditions. Therefore the OnRISC is downright designed for industrial automation. 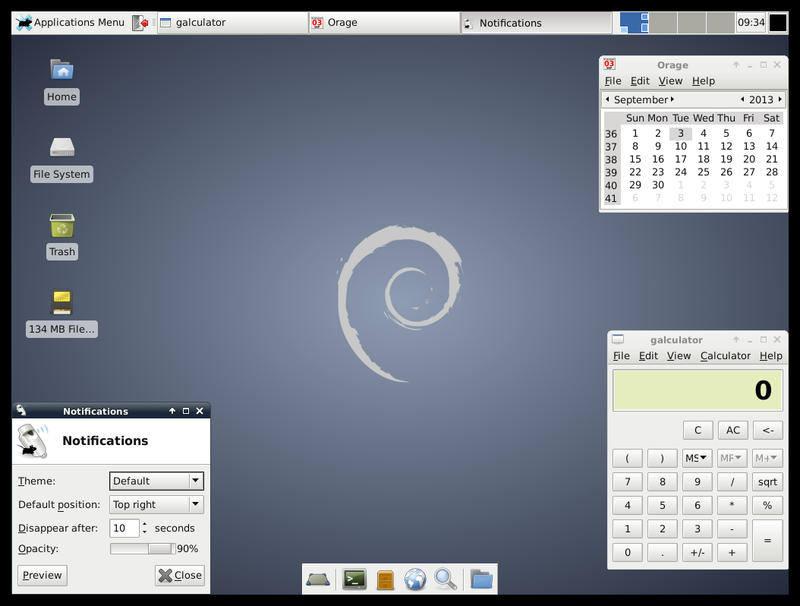 The embedded computer runs full-featured Debian GNU/Linux on ARM operating system Kernel. This system is installable on a microSD card to place in the internal card-reader. With Debian's repository database it is easy to install and update the free software on the OnRISC. The OnRISC is capable to act directly as a software development host, WEB, Mail, Print and Database server or as a desktop computer with X11 window manager and many more. 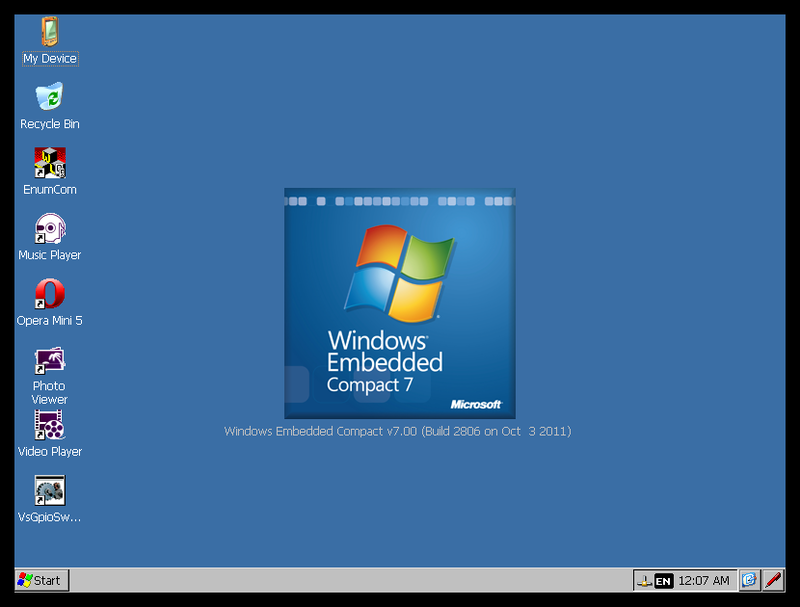 Windows Embedded Compact 7 is also available as operating system. More software is under development.